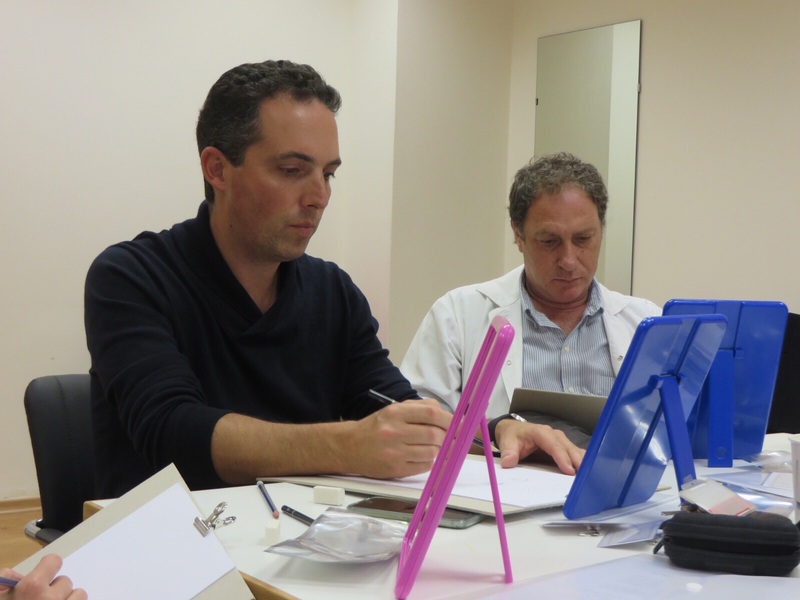 A first-of-its-kind course in aesthetics opened in Israel, the result of a cooperation between an artist-designer, a physician specializing in facial dentures and a plastic surgeon from Shaare Zedek Medical Center (SZMC). Among the subjects taught: anatomical sketching, anatomical sculpting, transitioning from 2-dimentions to 3-dimentions etc. All these topics are important in the work of the plastic surgeon. Plastic surgeons perform cosmetic repairs, and their success is measured by the aesthetics of the final result. To this end they need to have thorough knowledge of the human anatomy and high precision in the planning and execution of the operation. The unique course is a joint idea of Daniella Zilberstein-Aslan, a jeweler and designer, and Dr. Anat Sharon, a specialist in maxillofacial reconstruction. The two approached Dr. Yoav Gronovich, a plastic surgeon at SZMC, in the hopes of adapting their course to the needs of the Department of Plastic Surgery at SZMC. "We wanted to create a course that will teach the main artistic principles while emphasizing the practical side and applicable topics for plastic surgeons", explains Dr. Gronovich. "Any surgeon from the department (residents and experts alike) is welcome to join and develop their skills in sketching and sculpting complex 3D body parts like the ear, nose, lips and more. This is the first time that an art course is offered to physicians, even though these topics are central to such a creative and complex field as plastic surgery". Zilberstein-Aslan teaches the physicians artistic techniques, while Dr. Sharon shares the 3D sculpting methods she uses to create artificial organs. "SZMC was the first hospital to participate", they tell. "Now other hospitals start showing interest. Each department can adjust the course to fit its specific needs". Recently the two were invited to teach a similar workshop for students at the Bezalel Academy of Arts and Design in Jerusalem, to expand the anatomical knowledge they require for sculpting.